Why is my engine making a scraping noise and how do I fix it? 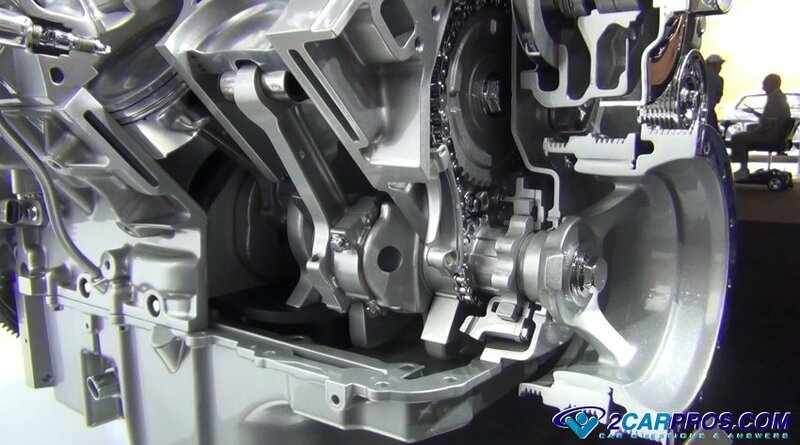 A scraping sound is typically created when metal is contacting metal during linear or rotational movement. Rotating objects are generally prone to scraping noises because they have close tolerances and are positioned near stationary objects. Some scrapping noises are easily fixed by re-positioning a particular brace or shield while bearing failures need to be replaced. An engine has many rotating parts which are supported by bearings and pivots. Due to the constant rotation and vibrations of the engine these conditions can cause the hard metal bearing surfaces to give out allowing excessive play. Also metal pivots that support the belt tensioenr can wear allowing the misalignment of the tensioner pulley allowing contact with nearby metal parts. When this occurs a scraping sound can by generated by rotating metal parts contacting stationary metal parts. The cost of repairs depends on the severity of the problem. The first step is to locate the source of the noise and then plan the repair. If a idler bearing has gone bad the part will cost between $27.00 and $60.00 (US) if you do the job yourself. If you have a shop do the repair you can expect to pay about $150.00 for the same repair. An idler pulley is designed to add support to the serpentine belt between the tensioner and the drive pulleys. When this part fails it can create a scraping noise due to the pulley contacting the engine or support bracket. To check for this problem use a flashlight and inspect the position of the pulley and replace it if misalignment or contact is observed. The serpentine belt tensioner is designed to hold pressure on the belt so there is no slippage when supplying power to the car's accessories from the engine drive pulley. When this part goes bad it will allow the arm of the unit to contact the front engine cover or accessory bracket allowing the tensioner pulley to rub creating a scraping noise. This problem is easy to detect using a flashlight and looking for a misalignment due to a worn out pivot. This common problem and can be fixed by replacing the belt tensioner. 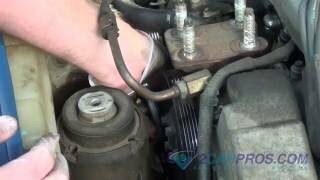 A water or coolant pump is responsible for circulating coolant throughout the engine and cooling system. When the bearing goes bad due to usage or corrosion from leaking coolant and can lock up creating a scraping sound. To check for this problem remove the serpentine belt and spin the water pump by hand to check for the noise and replace the water pump if necessary. 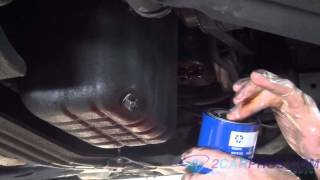 If a scraping sound is heard when you are trying to start the engine then the starter is to blame. This is because the starter bendix is worn out and cannot mesh with the flywheel gear correctly. In this case the starter motor must be replaced. Cars having a manual transmission use a throw out bearing to disengage the clutch which will allow the car to come to a stop without stalling the engine. When this bearing fails it will cause a scraping noise either while the pedal is depressed or released. This problem is easily found but fixing it can be a little tougher. This is because the transmission must be removed to install the new throw out bearing. A harmonic balancer is used at the front of the engine's crankshaft to drive the serpentine belt and counter act engine vibrations. This part is constructed with the rubber insulator that can fail and allow the outer ring to become dislodged from the inner hub. When this occurs it will create a scraping noise that is usually more noticeable when the engine is at idle. 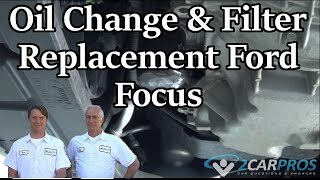 When this separation occurs the balancer must be replaced which is a similar job to a front main seal that is being done in the video below. If you have any engine scraping noise questions please visit our forum. If you need car repair advice, please ask our community of mechanics is happy to help you and it is always 100% free. We hope you enjoyed this guide and videos. We are creating a full set of car repair guides. Please subscribe to our 2CarPros YouTube channel and check back often for new videos which are uploaded almost every day.